Monnalisa has been inspiring muse for one of biggest genius, Leonardo Da Vinci, so our school has the aim to become an inspiration for your staying in Florence. 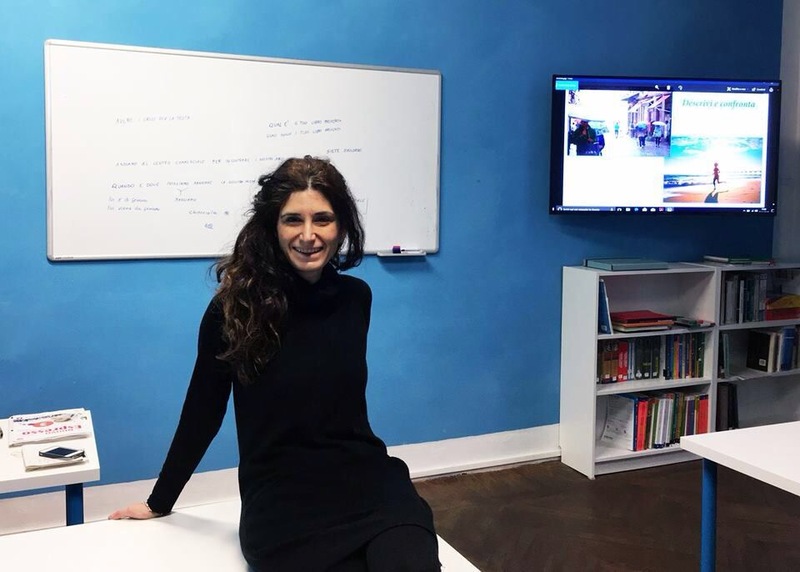 I’am Elisabetta and in the last years I have done so many experiences and jobs in Italy and abroad… But my true passion has always been teaching Italian language and culture! I’ve been jumping between many schools in many different cities but a dream follows you everywhere and now…I’ve finally found the courage to make my little school existing and to completely express my passion, in my way, with my style. In a fascinating, historical building, in the city centre of Florence, there is now my Monnalisa, a place where to learn Italian language but, as well, where to feel at home, where I help my students coming from abroad in everything they could need and we become a kind of family. It is a place born from motivation and passion! “Go confidently in the direction of your dreams. Live the life you’ve imagined” ( Henry David Thoreau). Our atmosphere is different. 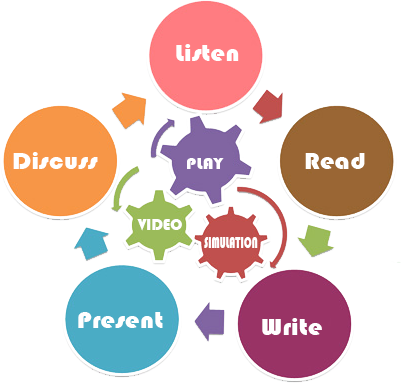 For us is truly important that you feel relaxed in your learning process. We believe that to feel good is very important during the lessons. In our classes you will be surrounded by the Italian language already from the first lessons but, especially for the absolutely beginners, you will have the support of a language bridge to fully understand the grammar rules. Our method is the result of years of teaching and contact with students from different parts of the world. Our approach is creative, interactive, fun and dynamic. The language must be not only learned, but practiced. For this reason in our courses we always encourage to use the language as more as possible and to practice with role plays, conversations, simulations. Our methodologies are focused on getting the most out of people, facilitating collaboration between the teacher and the learner – and between individual learners. We are constantly exploring new ways of making our lessons more effective and relevant to the needs of our students. Last but not least, we are in love of the Italian Language and proud to share the value of culture and traditions. In every lessons you will go beyond the grammar to explore a cultural world, this is what we mean when we say “…to come together to the Italian language’s heart “. Our philosophy to learn a new language is to gain a new soul, in some cases, the knowledge of a new language is indispensable due to the study, work or business contacts. To study a language it become a priority, for anyone whose job will lead them to have contact (commercially or culturally) with Italy and/or Italian speakers. But our main goal is to feel joy at studying the language, regardless or whether it will be ‘useful’ or not. Studying the language is enough in itself, it doesn’t matter if it’s ‘useful’. To learn a language it is important because it provides an infinite enrichment, both personally and culturally and goes beyond the concept of ‘usefulness’. The language skills are not just as a means of understanding Italy, but also as an extraordinary fount of knowledge. It is very limiting to think of learning a language as serving only a practical goal. It is important in many other ways, because through the study of a foreign language, you discover a country in different ways and you gain skills which can then be applied to other situations. It also broadens your way of thinking and increases your capacity to understand Italy. This is because the choice to study Italian is linked to factors intrinsic to the language (it is a beautiful language, and its sound and structure fascinate and enchant people) as well as for cultural or commercial reasons. Give to yourself something beautiful, learn italian!